President Donald Trump arrived in northern California on Saturday to see first-hand the grief and devastation from the deadliest U.S. wildfire in a century amid confusion over how many people remain unaccounted for. The tour came as firefighters raced to get ahead of strong winds expected overnight and authorities struggled to locate 1,276 people who were listed as missing. Authorities stressed that not all on the list are believed to be gone — many likely survived but have not yet notified family or authorities, either because they lack phone service or were unaware anyone was looking for them, officials said. But the death toll has nevertheless risen daily, standing at 79. California's outgoing and incoming governors joined Trump as he surveyed the devastation in the town of Paradise, population 27,000, and visited a firefighting command centre. Gov. Jerry Brown and governor-elect Gavin Newsom had welcomed Trump's visit, declaring it's time "to pull together for the people of California." Later in the day, Trump touched down in Southern California, where three people died in separate wildfires that tore through Malibu and communities west of Los Angeles, and where a mass shooting at a country bar recently left 13 dead. Trump was scheduled to tour some of the areas scorched by the fires and then meet with families affected by the shooting. Those who lost their homes or were looking for loved ones were also busy on Saturday — some trying to pack up at a makeshift camp next to a Walmart in the Northern California city of Chico. No one there appeared to be paying close attention to Trump's visit, with evacuees saying they were told to leave by Sunday. Missere-Crowder, 61, and her husband fled their home in Magalia, a community near Paradise that also was devastated, and planned to go to a shelter in Yuba City, about an hour's drive from the Walmart. She said she was angry about Trump's tweet two days after the disaster blaming forest mismanagement for the fire, a sentiment he repeated just before his visit that has stirred resentment among survivors. Still, she said that if she met him, she would say, "Think about what you're saying, because it takes away from all the good stuff you're doing." Other residents, however, gathered on street corners with Trump flags on Saturday to greet the president's motorcade.The fire zone in northern California is to some extent Trump country. Trump beat Hillary Clinton by four percentage points in Butte County in 2016. June Busalacchi, 57, and her husband, Steve, 56, came to a Federal Emergency Management Agency assistance centre at the Chico Mall to see if some friends they haven't heard from were there. The Trump voters also hoped the president would show up. "He's going to get these guys, and no pun intended, get a fire under them," he said, referring to state officials in California. "They need to protect people, not just in big cities." Asked about Trump's insistence that forest management was to blame for the blaze, Steve Busalacchi said comments like that are how you motivate people to address problems. 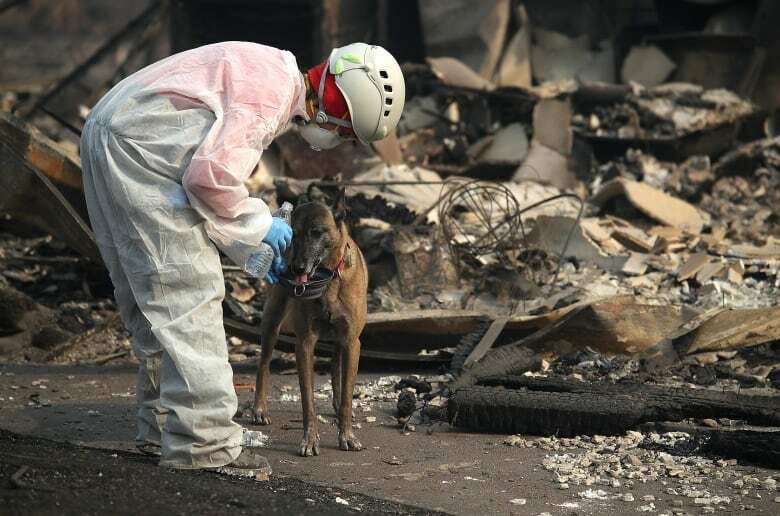 The blaze that started Nov. 8 destroyed more than 9,800 homes. 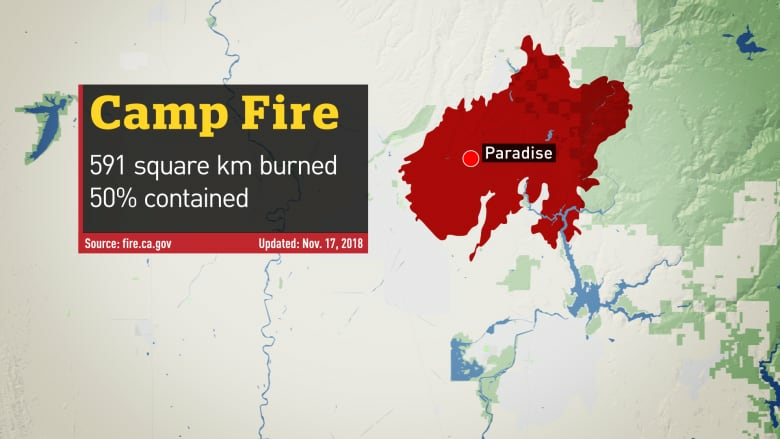 Thousands of personnel were battling the blaze that covered about 600 square kilometres and was halfway contained, officials said. As smoke from the fires continued to blanket many areas in northern California, firefighters were racing against time with winds up to 64 km/h and low humidity expected Saturday night into Sunday. 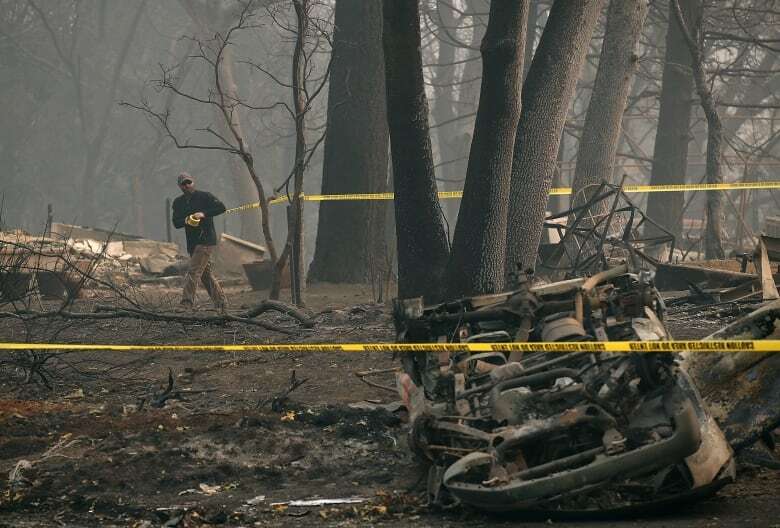 While the number of people unaccounted for has grown to more than 1,000, Butte County Sheriff Kory Honea acknowledged that the list was "dynamic" and could easily contain duplicate names and unreliable spellings of names. "We are still receiving calls. We're still reviewing emails," Honea said Friday. "This is a massive undertaking. We have hundreds and hundreds of people working on this." Michelle Mack Couch, 49, lost the home she was renting in Paradise and helped patients escape through a wall of flames as an employee at a nursing facility. "Let's hope he gets us some help," the Trump voter said at an emergency assistance centre, where she was trying to get a walker for her 72-year-old mom. But as far as watching the president's visit, she said wryly, "We don't have a TV anymore."